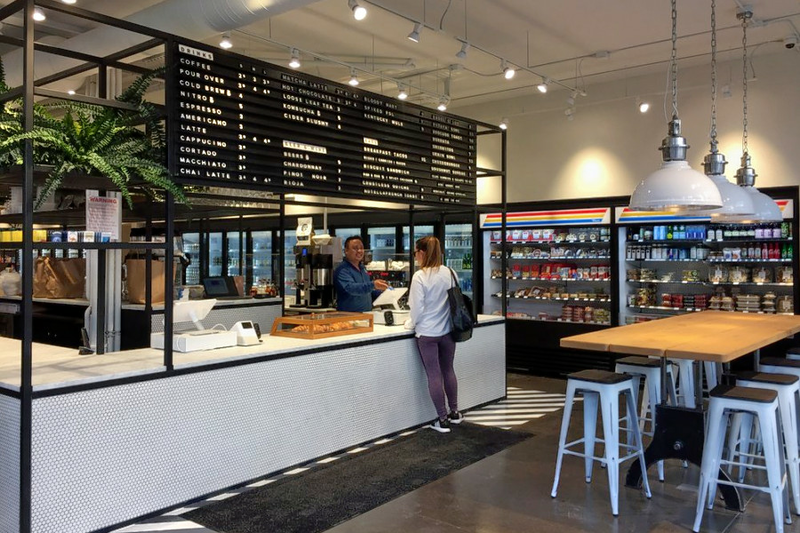 A new upscale convenience store with a coffee bar has opened its doors in the neighborhood. Located at 3334 N. Southport Ave. the new addition is called Foxtrot Market - Southport. Originally an app-only delivery business, it has become a Chicago mini-chain, with a handful of stores in the city. This Lakeview outlet supplies area residents with the necessities, plus craft beer, wine, spirits and snacks. Toothpaste, flowers, pantry items, bath and skin care items, and household essentials like paper towels are on offer. You can also pick up ready-to-eat meals, ice cream and caffeinated beverages at the cafe. Items are typically available for delivery within the hour. It's still early days for the Foxtrot Market on the Southport Corridor, which has just three reviews on Yelp thus far. Gwen B., who reviewed the new store on Sept. 28, wrote, "Foxtrot Market is a much-needed addition to the neighborhood. I was really excited that they serve coffee and specialty barista drinks at their bar with made-to-order food. They also have food and drinks for grab-n-go." And Rachel S. wrote, "Cute shop new to the Southport Corridor. The best part is probably the coffee bar. Otherwise this is more of a place I'd go if I needed something last minute. It's incredibly expensive, so I wouldn't recommend it as a regular spot to pick up grocery items." Interested? Stop by to welcome the new business to the neighborhood. Foxtrot Market is open from 7 a.m.-11 p.m. on Monday-Thursday, 7 a.m.-midnight on Friday, 8 a.m.-midnight on Saturday, and 8 a.m.-11 p.m. on Sunday.